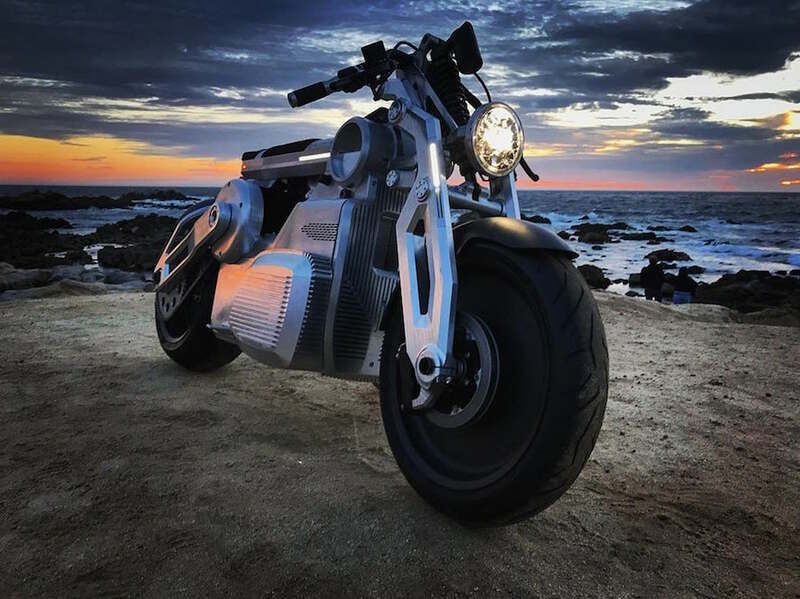 A massive crowd-funding effort has kickstarted the reinvented Curtiss Motorcycle Company to the extent that it predicts it will be building thousands of electric motorcycles by 2023. It also forecasts company revenue will climb from just under $3.5m in 2018/19 to over $92m in 2023/24. By 2028/29, Curtiss forecasts more than $US1 billion in total revenue. They’re ambitious targets intended to be driven by a range of electric bikes, starting next year with two recently revealed models: the $US60,000 Zeus and $US90,000 Hera. But it’s a third new electric bike, the $45,000 Curtiss Hades due to be shown in early this year, that’s expected to account for more than 50 percent of sales. The design of that bike, as well as a host of other new models, is revealed in the firm’s crowdfunding documentation. It completes the transformation of the company that spent decades as a niche manufacturer making uber-expensive V-twins for the Hollywood set under the guise of Confederate. Now named Curtiss, the Alabama-based company has revealed it made just 33 petrol-engined motorcycles in the 2018/19 fiscal year – 10 Confederate Fighter machines and 23 Curtiss Warhawks. It plans to build 200 electric motorcycles in 2019/20, 666 in 2020/21, 1111 in 2021/22, 1852 in 2022/23 and 4322 in 2023/24. 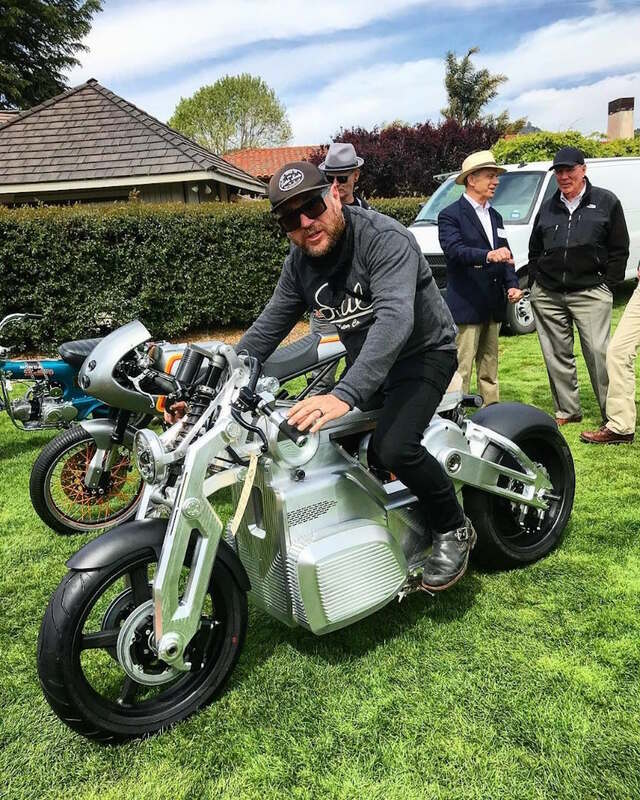 Curtiss won a design award at the 2018 Quail Motorcycle Gathering in California and part of its appeal is that the electric motors are positioned to mimic petrol engine layouts. Curtiss will slash the prices of all three electric models in 2020/21, switching from machined-from-billet aluminium parts to cast components. At that stage, the ‘series 2’ versions of the Hera, Zeus and Hades will have their prices halved to $45,000, $30,000 and $22,500 – a move that’s intended to more than triple the firm’s production that year. In 2021, a fourth model, the $22,500 Eros, derived from the Hades, is due to join the range. And in 2022, a fifth machine, also costing $22,500 and sharing many Hades components, will be revealed under the name ‘Ares’. In 2023 comes the next big step, with two new ‘series 3’ models on sale, costing $15,0000 each. These mainstream models – dubbed Hercules and Medusa – swap cast aluminium frames for tubular designs, probably steel, and use hub-mounted motors rather than ones fitted to the main chassis. Curtiss will call the layout ‘Motortail’. Another two Motortail models – the Dionysus and Poseidon – will follow in 2024.